Induction loop systems are a key part of assisting the hearing impaired at your event. 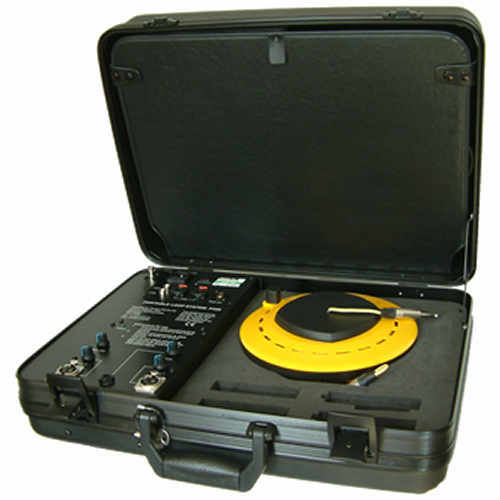 Our induction loop equipment can be connected to any sound system, microphone, audio input source, directly to a hearing aid equipped with a telecoil or ‘T’ position. required to ensure that anyone with hearing issues can still interact with your event! Our range of rental systems from small portable systems to amplified systems for large conferences or public meetings. If you have specific requirements for your event please contact us. Ideal for close proximity one on one interaction, small meeting rooms, work in the community, weddings and ticket booths. With the Portable lightweight design of our portable systems it means that you can easily transport set up and use the system with out hassle. With the ability to be used on battery power or while charging it enables you to use it in remote locations where there may not be available power sockets. The auto idle shut down ensures that the unit will shut off when not in use so you maximise the usage between charges. Small induction loop systems can easily cover upto 50sq meters. 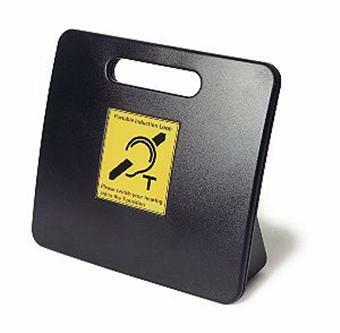 Ideal for use in medium sized venues where it is a requirement that multiple people will need to use the facilities of an induction loop. This is the perfect option for small meeting rooms, council chambers and village halls. Covering upto 900sq meters the large induction loop system is best suited to theatres, cinemas, churches, conference halls where there is a vast area that requires coverage and sound quality is paramount to guests enjoyment of the event.